Geezus, I just mentioned Roseanne randomly in a post yesterday, and now today the long-running sitcom is getting a revival. Time to start putting more Get A Life references into our coverage. 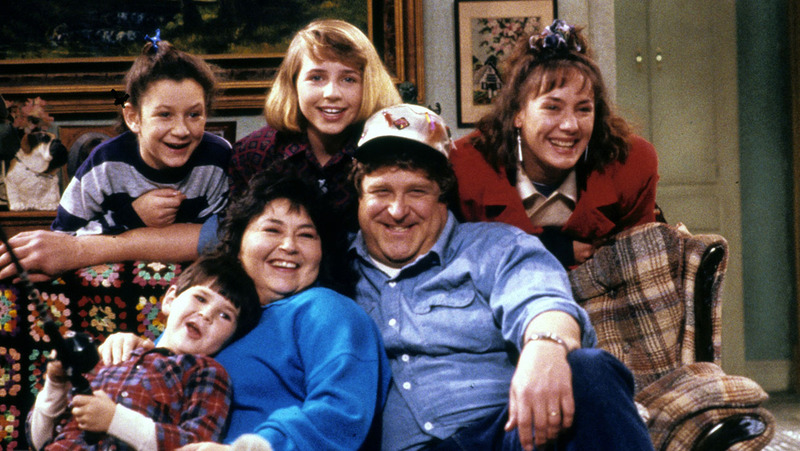 That's right, the seminal comedy Roseanne is coming back for a limited run, with Roseanne Barr, John Goodman (!?!) and Sara Gilbert definitely a part of it. Others, like Laurie Metcalf, are in the process of coming aboard. Whitney Cummings will serve as showrunner along with Bruce Helsford, but no sign of Joss Whedon who got his start on the show. Roseanne ran from 1988-1997 and was the biggest comedy in the country for many of those years. It depicted the paycheck-to-paycheck existence of the Conner family in a small Illinois town. The show gave comedian Barr a huge platform, and it turned her into a national celebrity who could pretty much write her own ticket. She used the series to touch on many hot button issues that spoke to ordinary blue collar Americans. No word on how they intend to use Goodman, whose character Dan Conner died towards the end of the show's run. Maybe it was all a dream? Actually, the series finale revealed the whole show to be just a story the Roseanne character wrote, so this might not be too far off.